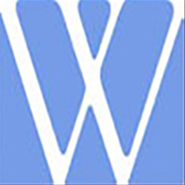 For many years, Wheeler & Associates, CPA, PA has been providing quality, personalized professional services to individals and businesses. Our expertise ranges from basic tax management and accounting services to more in-depth services such as audits, financial statements, and income tax planning. By combining our expertise, experience and the team mentality of our staff, we assure that every client receives the close analysis and attention they anticipate. Our dedication to high standards, hiring of seasoned tax professionals, and work ethic is the reason our client base returns year after year. In addition to our professional qualifications, our firm practices a philosophy of "giving back to the community" through its active participation and financial support of local charitable and community organizations. By doing so, we demonstrate our appreciation to the community we serve. As a small business ourselves, we appreciate the entrepreneurial spirit of business owners and recognize their dependence upon professional accounting service providers to give both timely and competent advice. We are dedicated to remaining informed of the constantly changing tax laws and accounting industry develepments affecting individuals and businesses. It is our intent to simplify your relationship with our firm by using a common sense approach to meeting your needs while living in a digital technology environment and as it relates to the various decisions you must make in accounting and tax matters, we will always strive to place you in a position to make informed decisions. Because we intend your relationship with our firm to be long-term, we know we must earn your trust and continue working hard to keep it. You have our pledge that we are committed to meeting all your service needs in a timely and attentive manner. Experience is essential in successfully navigating the world of financial reporting services and income tax practice. Our staff is composed of certified public accountants, paraprofessionals and administrative assistants who are experienced in servicing the accounting and income tax needs of businesses and individuals. Lamar graduated from Jacksonville University and earned the designation of CPA in 1974. Lamar is a member of the Florida Institute of Certified Public Accountants and American Institute of Certified Public Accountants. 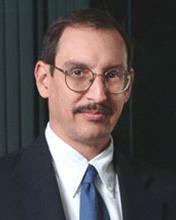 Lamar has 40 years of experience in auditing, accounting, income taxation and small business consulting. Practicing a philosophy of giving back to the community, Lamar has volunteered his time to a variety of community organizations in Jacksonville, including: Sertoma Club Jacksonville, American Diabetes Association, United Methodist Conference, Boys and Girls Club of Northeast Florida, Inc., Rotary Club of Mandarin, MaliVai Washington Youth Foundation and the Tom Coughlin Jay Fund Foundation, Inc.
Alan earned both his Bachelor of Business Administration and Masters in Business Administration from the University of North Florida. Alan earned the designation of CPA in 1981 and is a member of the Florida Institute of Certified Public Accountants and American Institute of Certified Public Accountants. 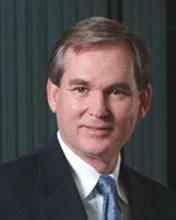 Alan has more than 35 years of experience in auditing, accounting, income taxation and small business consulting. Alan’s community involvement has included the North Florida Chapter of the National Railway Historical Society (past treasurer) and the North Florida Railway Museum. Karen has more than 40 years of combined experience as an administrative assistant and technical support provider in the areas of accounting, insurance, home health care, real estate and general business. Her community involvement has included event planning for a large single adult group, a Sunday School teacher and a member of the choir. In her personal time, Karen enjoys crafts, reading, travel and cooking. A new endeavor - learning to play the piano. 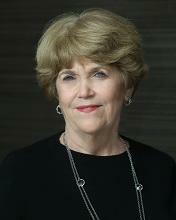 Judy has a Bachelor of Science in English from Florida State University and a background in public education. 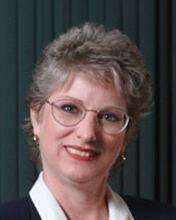 Judy has over 30 years of experience as firm administrator/manager. Within the community, Judy has served with the Guardian Ad Litem program, as a youth Sunday School teacher, member of the Hand Bell Choir and an officer in the UMW at Mandarin United Methodist Church. 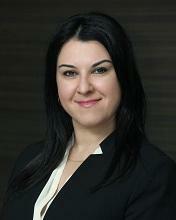 Larisa (Lara) is an accounting associate and a Certified Quickbooks ProAdvisor. Lara joined Wheeler & Associates, CPA, PA in 2014 and oversees client set up, conversion, training and troubleshooting for QuickBooks, as well as bookkeeping and payroll responsibilities. Prior to joining Wheeler & Associates, Lara held various positions at a major investment bank in New York before moving to Florida with her family where she decided to pursue accounting. Lara graduated from City University of New York, Baruch College, where she received a Bachelor of Business Administration in Finance and Investments. In her personal time she enjoys spending time with her family, reading, traveling and volunteering at her children's schools. She is also fluent in Russian. Abdel earned his Bachelor of Science in Accounting and his Master of Taxation from Florida Atlantic University and will earn his Master of International Affairs in December, 2018 from the University of North Florida. 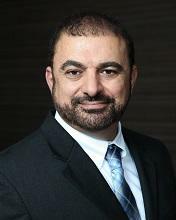 Abdel has more than 15 years of experience in auditing, accounting, income taxation and small business accounting.